The Moog Etherwave Standard Theremin, Black is a re-imagination of one of the oldest musical instruments in history, the Theremin. The Moog Etherwave is possibly one of the strangest, spookiest musical instruments, which requires no touching. 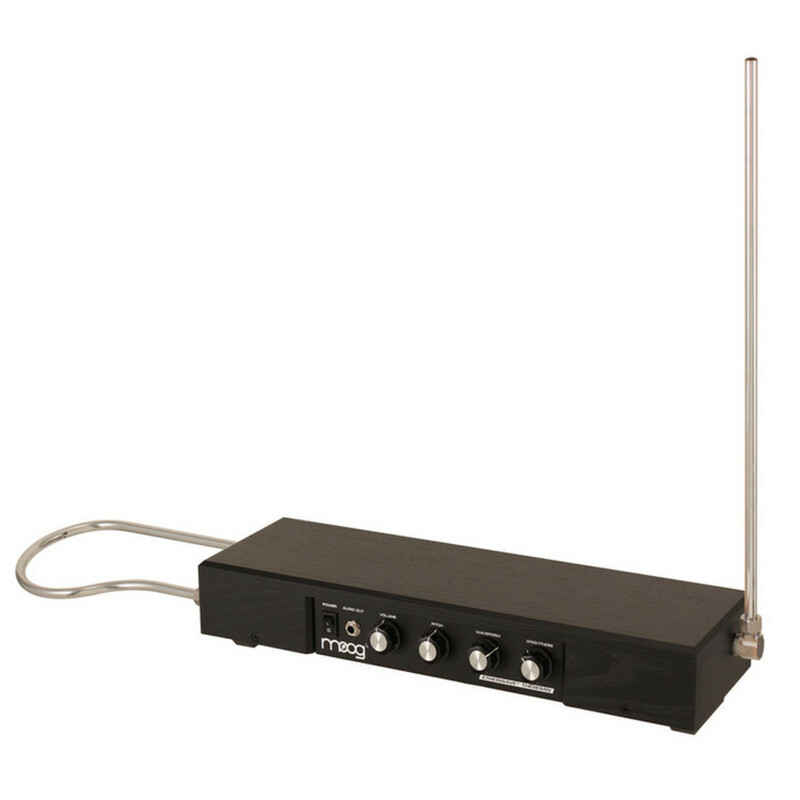 Simply control the sound with gestural movements, controlling pitch and volume by moving around the antennae. The Etherwave features a 5-octave pitch range with reliable spacing between notes for sophisticated playability. It features a furniture-grade hardwood design, retaining the characteristics from the original Theremin to add authenticity. It is fitted with an adapter, allowing you to easily mount it onto a standard microphone stand. The Etherwave features rotary knobs for Pitch, Volume, Waveform, and Brightness. The pitch knob allows you to adjust the response of the pitch antenna, making it more sensitive. The Waveform rotary control can be used to adjust the waveform of the audio output. The Brightness rotary control adjusts the brightness of the sound, allowing you to change the tone.